Teaching and Outreach - CATHERINE A. POMPOSI, Ph.D. I am very passionate about scientific education and outreach and always looking for ways to effectively communicate climate science to broader audiences. Below are some photos from various recent outreach activities that I have been a part of. Me leading a book club discussion at the Alhambra Civic Center Public Library in October 2017. 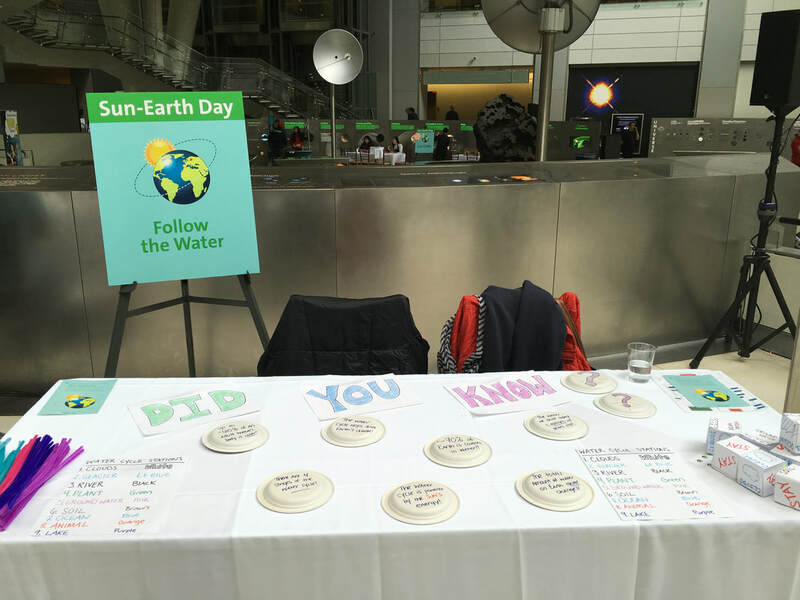 ​Photos from the American Museum of Natural History's Sun-Earth Day held in March 2016 where my colleague Etienne Dunn-Sigouin and I coordinated a hands-on water cycle activity for children. As a citizen and scientist, I am very interested in the role that scientists play in the policy-making sphere. 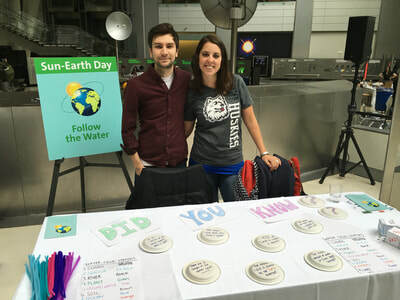 I believe that it is a responsibility of scientists to engage with public officials and provide information about current research findings that might guide policy decisions. In Fall 2017, I participated in a Geosciences Congressional Visit Day where I met with members of Congress and their staff to advocate for strong continued federal funding of geoscience research and educational programs. A photo of me outside the United States Capital building during a recent Geosciences Congressional Visit Day in 2017.